Streisand visited the Portuguese Synagogue and after a tour they visited the old library Ets Haim. There were a few remarkable manuscripts to view. 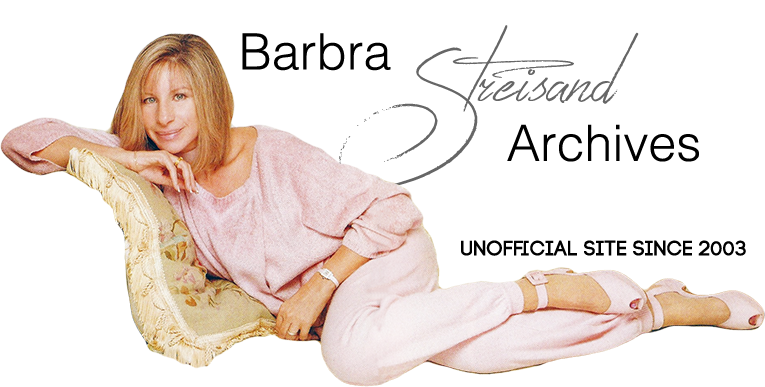 She wrote in the Golden Book of Ets Haim the wonderful words: "Thank you for letting me see the beauty of our people - Barbra Streisand'. Afterwards, she visited the Jewish Historical Museum and the JHM Children's Museum. An amazing show at Ziggo Dome! The set list changed a bit—Jason Gould's songs moved to the first act; Botti and Rosyln Kind's spots shortened; and Barbra added Happy Days Are Here Again as an encore, after some patter about visiting Ann Frank's house here in Amsterdam. At this show, Barbra sang the "big finish" version of "People" that she's used in previous concerts. During the Marvin Hamlisch segment, they are now showing video footage of Barbra and Marvin laughing together and posing for photos in the back of the moving van with The Concert couches. In previous shows, they have used still photographs in this segment. Barbra wore her hair differently in the 2nd Act — two strands tied in the back with a sparkly clip.